The Mary Shelley Symposium at the Stranger With My Face Horror Film Festival is a series of talks and discussions around genre and gender, featuring experts and academics, artists and filmmakers. 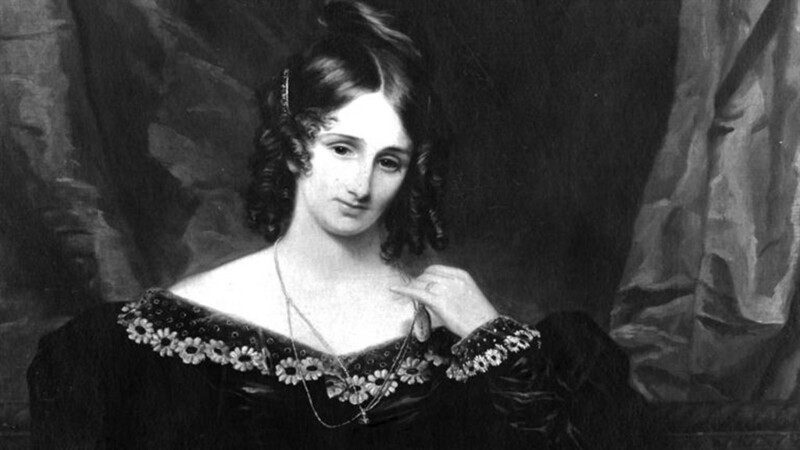 The Symposium honours one of the greatest and most influential women in horror, the novelist Mary Shelley. Many symposium events are free to attend, see individual event pages for details. The radio play is dead…. or is it? The new world of podcasting has opened up an eager worldwide audience for audio-only drama content. In creating a portrait gallery of female werewolves Jazmina’s aim is to expand existing visual mythographies of the female werewolf, drawing attention to the generally overlooked literary and historical narratives of female lycanthropy and the role of the feminine in the evolution of werewolf lore. Learn the basics of the medium with indie comic creator Scarlette Baccini, who will talk about her process, and discuss how to build tension and atmosphere in horror comics. Steve will take participants through the process of working from the script, designing and building creature effects, to the final sequences in the film, using clips and images from his films as examples. As the month slowly goes by, Charlotte becomes more and more convinced that she is not alone with the yellow wallpaper in her room. What are the secrets to creating complex, original monsters that aren’t played or voiced by male actors? Isabel will explain her authentic, painstaking stop-motion process, using finely crafted sets and characters and complex moving parts.